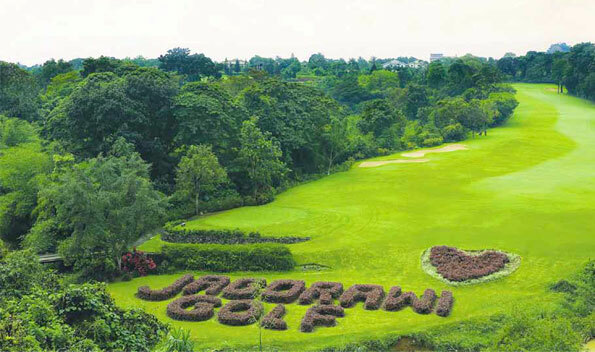 Jagorawi Golf & Country Club is situated 60 minutes from the center of Jakarta off the Jagorawi toll road. Three courses make up in a total of 45 holes. 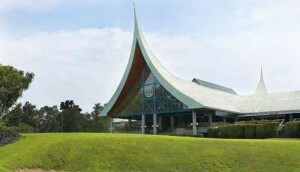 Both the Old Course and the New Course have hosted the Indonesian Open. 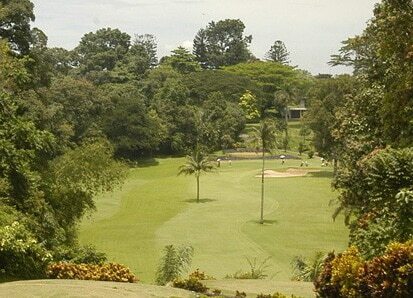 Opened in 1981 and designed by Thomson, Wolveridge & Perret, the Old Course is one of the most challenging in Indonesia. It demands precise shot accuracy to have any chance to a good score. Fairways are mostly of native grass which adds to the difficulty as the ball neither sits up nor comes out clean when stuck. 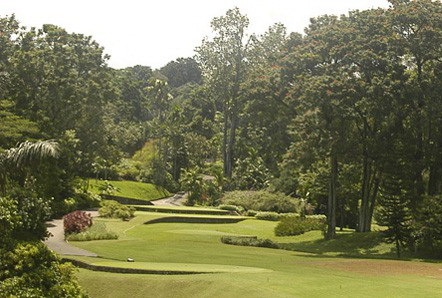 The 1st hole may be the toughest opening hole in Indonesia. The demanding par-5 starts with tees are 40 meters above a narrow fairway with a river flanking the right. The simple starting fade or slice will surely start with a watery opening – not a pleasant experience at all. Otherwise, this is an excellent place to use a mulligan and carry on with the round. 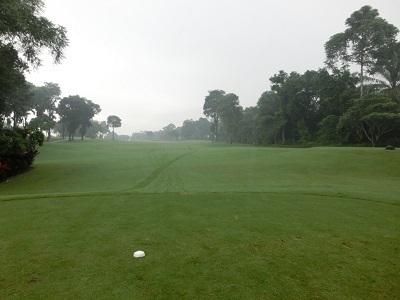 The second shot is even more difficult as it plays uphill to the narrowest part of the fairway. If you are still in play, the third shot is a short iron to a green with a significant slope from front to back – hardly a design to hold incoming shots. Some of the other holes on the front nine are almost as difficult. The par-3 third requires a fairway wood into a long narrow green. Mishit left, or right and par require a sand recovery. The 5th and 9th could do with some vegetation cropping as both holes need tee shots shaped around overhanging trees. The Old Course back nine is no easier. 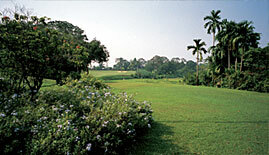 Starting with the 10th, which is the tightest of all of the holes, a high fade is needed to hit the jungle-lined small fairway. Even a bogey here is a great accomplishment. The other back-nine “standout” is the 15th. 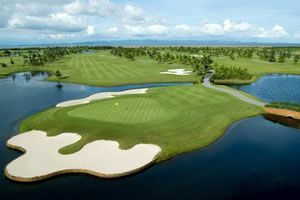 A right to left par-5, it plays around a 90-degree bend to a green perched among the rice paddy fields. Head back to the clubhouse for the last three holes, and at least there are still three chances for par and a reasonable score. 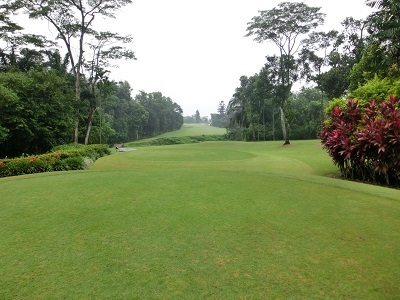 The Jagorawi New Course is longer, more open, and slightly more straightforward than the Old Course. 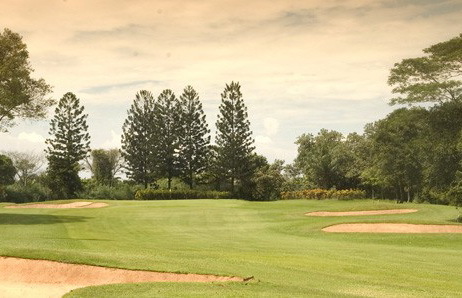 With a choice of tee boxes and moving one forward of normal, golfers will enjoy the round. Long hitters can hit away without fear as fairways are generally very wide. The front nine possess a more accessible opening as compared to the back nine. 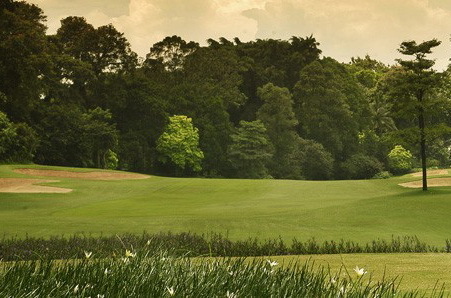 Holes 11-13 are the most difficult as they play to narrow landing areas and well-guarded greens. The Z Course is a 9-hole layout that was designed by Max Wexler. 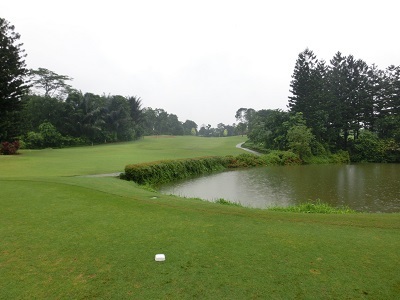 It is probably is the most challenging 9-hole course in Indonesia. 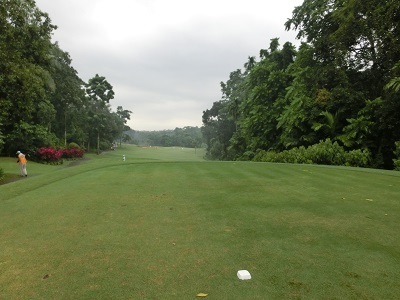 All of the holes are laid out around the Cikeas River – which is crossed eight times through the 9-holes. Original hardwood trees were kept in place and flank most holes. 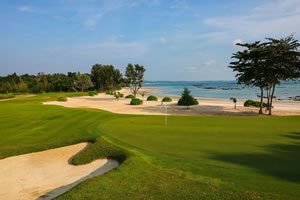 Low handicappers will enjoy the challenge, while most golfers are better off sticking with either the Jagorawi Old Course or New Course. 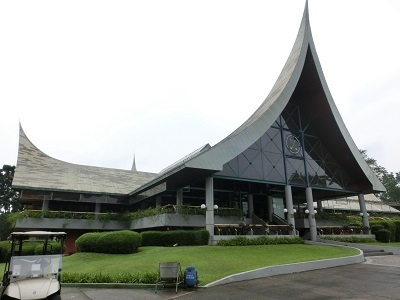 The Jagorawi Golf & Country Club clubhouse shows its in West Sumatra style with a traditional pointed roof. 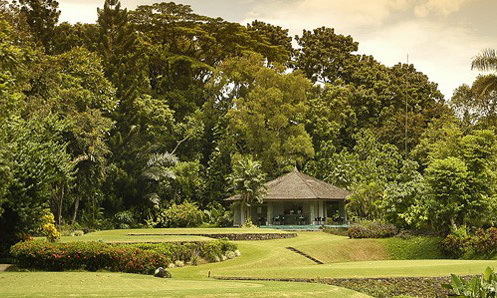 The restaurant serves excellent Indonesian dishes and also has standard golf fare available. Adjacent to the clubhouse is a small 12 room golf resort. The latter is best left to the locals as there is not much on offer nor available in the surrounding villages unless you are Indonesian. 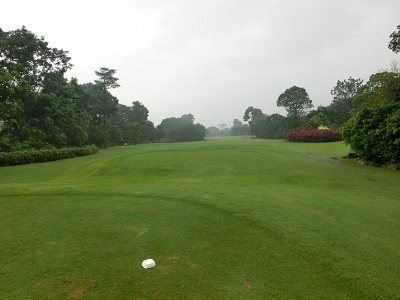 Practice facilities are adequate, but not maintained as well as the main courses themselves. 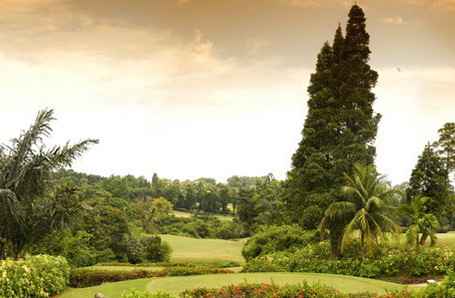 Jagorawi is one of the mature courses in Jakarta surroundings. The Old Course is perfect for those looking for the ultimate challenge, while the New Course will suit all players. 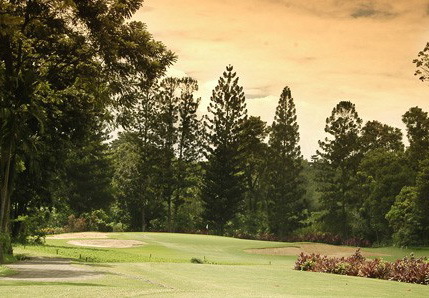 While advertised as private, all 45 holes at Jagorawi are available for visitor play if booked through a tour operator. 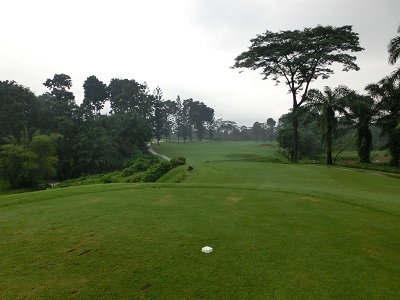 Have you played golf at the Jagorawi Golf & Country Club and took some nice photos that you would like to share with other golfers? Send them to us and we may upload them here. Thank you in advance!